Every semester I update our members on the important work being done by our campus Dream Centers on behalf of our hundreds of undocumented students. And every semester I struggle with having simply too much to report. What follows relates mostly to Skyline College with a promise to focus my next article on important work being done by Cañada and CSM. October 10th, faculty and staff packed the Multicultural Center for Skyline’s first undocumented student panel session held as part of Flex Day. Responding to questions from moderator Pamela Ortiz Cerda, students spoke candidly on their widely varying experiences of being undocumented at college. Their testimony was both so poignant and so inspiring that audience members again and again stood up to voice their appreciation and amazement at our students’ courage to speak out. Skyline’s October 15th kick off of our first ever UndocuWeek followed. This series of events included a student mixer with campus allies, a Know Your Rights workshop, and film screening of Resist: Documenting the Undocumented with producer/professor Oscar Guerra and several other events. More recently, all three Dream Centers updated their training and outreach work to help undocumented students meet March 2nd California Dream Act and SMCCD financial aid deadlines. Conferences geared toward undocumented students are springing up around the state. On March 23rd, Dream Center staff will bring SMCCD students to the 3rd annual UndocuSTEM Conference at Sonoma State University. 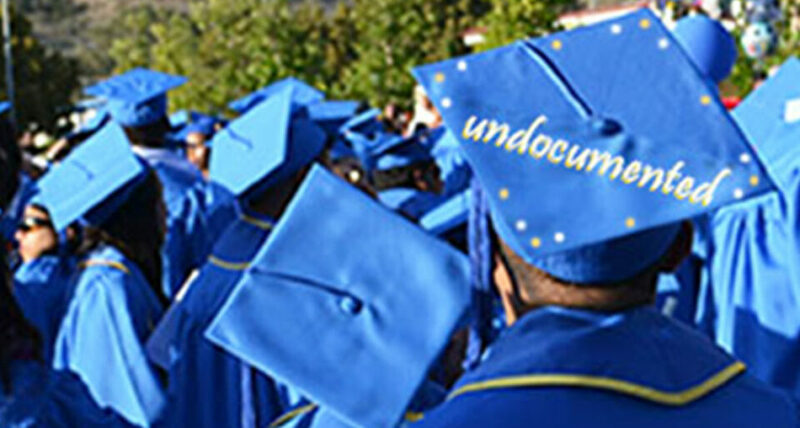 The Dream Centers have also organized the first ever whirlwind Bay Area university tour specifically for undocumented students preparing to transfer. The Skyline Dream Center Task Force will be meeting on March 19th and April 16th at SparkPoint, Building 1-214, from 1pm-2pm. All are invited to hear Ms. Ortiz Cerda discuss a newly published report detailing a CCC survey of 114 community colleges’ responses to questions on how they provide services to their undocumented students. Ms. Ortiz Cerda, who sits on the California Community Colleges Undocumented Student Advisory Committee (CCCUSAC), will present highlights and the Task Force will dive into discussions on best practices and services they might recommend/adopt for Skyline and/or the District. Finally, on May 18th, CSM will host the 2nd annual Migration Celebration, a graduation ceremony for undocumented students from all three colleges. We’ll be seeking many volunteers to make it happen. • Some undocumented students have reported being “outed” by professors in front of classmates unaware of their legal status. • Faculty who lead discussions or give assignments related to students’ voting habits should not assume that all students have voting rights. • When classes include debate and discussion on immigration topics, instructors should be careful to try to avoid conversations that may leave undocumented students feeling that their existence is debatable and/or resulting in strong feelings of exclusion. This year, the undocumented student clubs which can offer welcome camaraderie, have struggled to stay afloat, as frequent graduation of student leadership or other leadership challenges have impacted the groups. This semester I strongly encourage you to drop by your Dream Center and find out how you can help. The more faculty attend Task Force meetings, the better the Centers can accomplish their goals. You can drop in on a Task Force meeting, donate books for the student collection, food for an upcoming meeting, or ask about any scheduled training opportunities. Invite Dream Center staff to speak in your classroom, or even help distribute flyers for upcoming events. Email any questions to myself <silversharpj@smccd.edu> or Pam Ortiz Cerda <ortizcerdap@smccd.edu>.